Dave Jolliffe is our winner for the July Odie's Oil Contest. Dave is an accomplished woodturner. 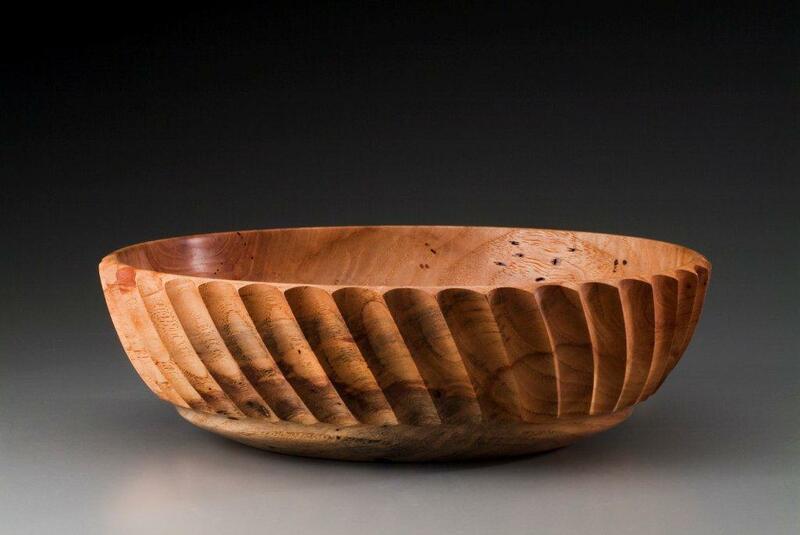 Just look at these lovely fluted bowls that Dave created. Dave will receive a 9 oz jar of Odie's Oil. Congrats Dave! 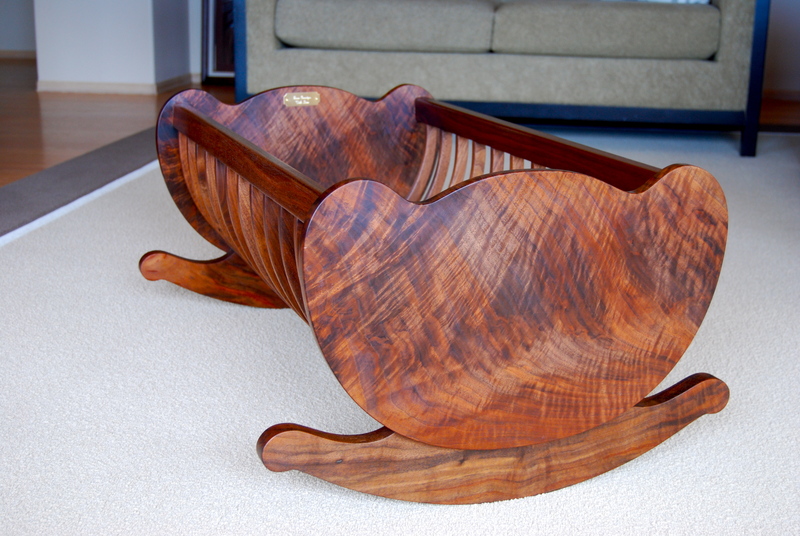 Bob Lakshas made this beautiful cradle for his new granddaughter. He finished it with Odie's Oil and Odie's Wax. 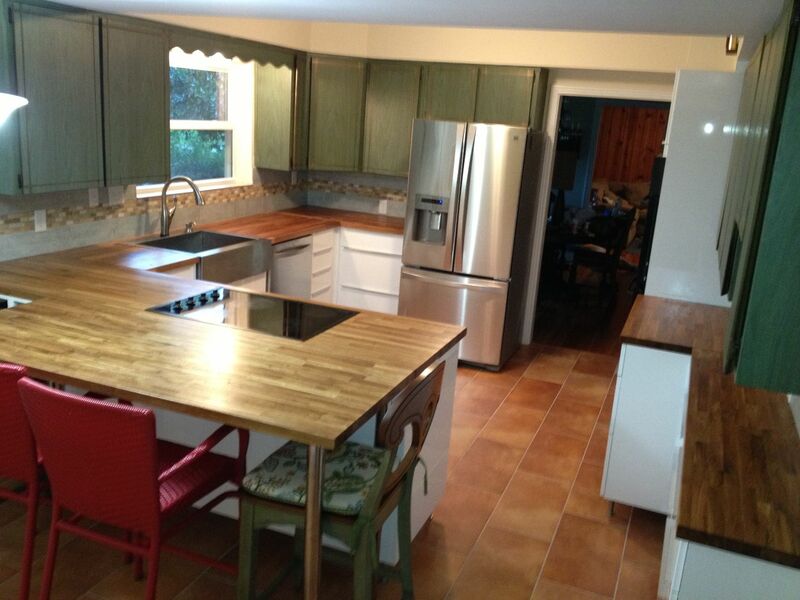 Edward Julian finished his gorgeous oak wood countertops with Odie's Oil and Odie's Wood Butter. Our Odie's Oil Contest winner for May 2013 is Andy Gibson. 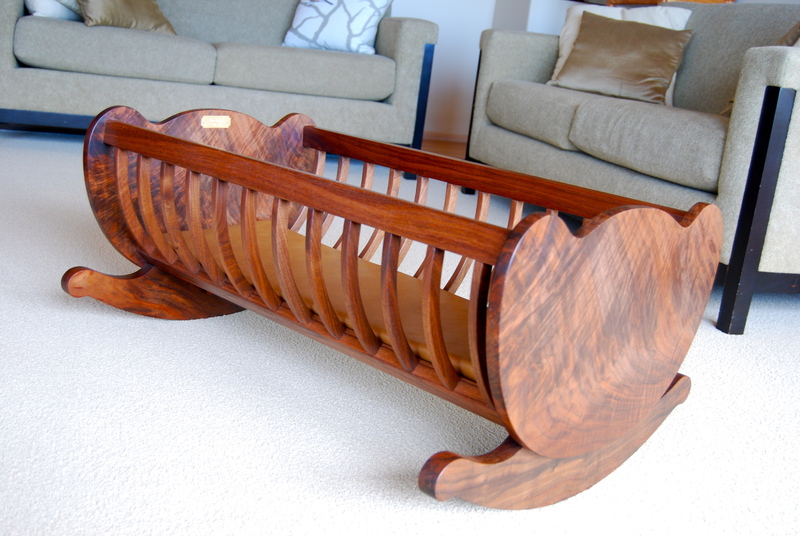 Andy is an accomplished luthier and woodworker. He used Odie's Oil and Odie's Wax to finish his beautiful guitar. Congratulations Andy! 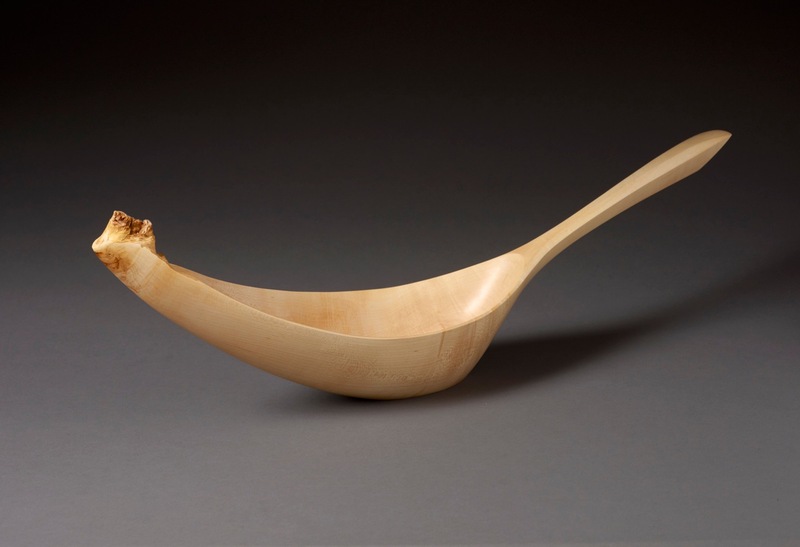 Barry Gordon, a woodcarver who specializes in handcrafted spoons and vessels, is our Odie's Oil Contest winner for April 2013. He will receive a free 9 oz jar of Odie's Oil. Here are two photos of his lovely work. Congratulations Barry! 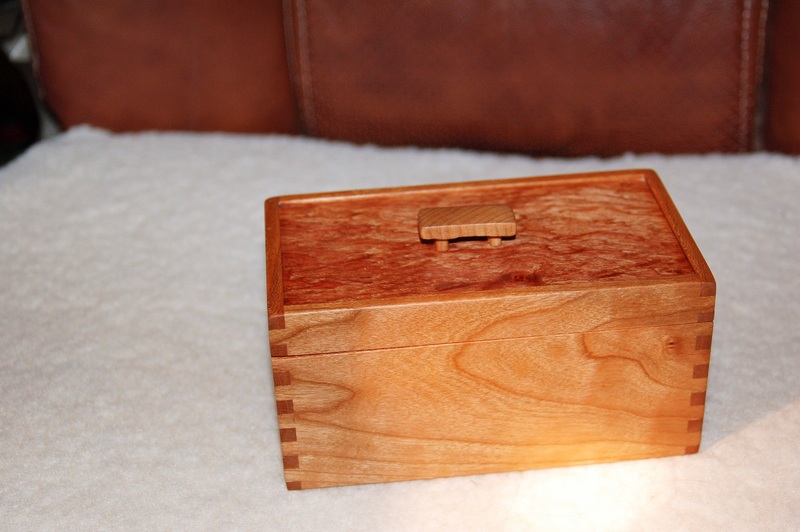 Woodworking hobbyist Bill Brooks is our Odie's Oil Contest winner for March 2013. He will receive a free 9 oz jar of Odie's Oil. 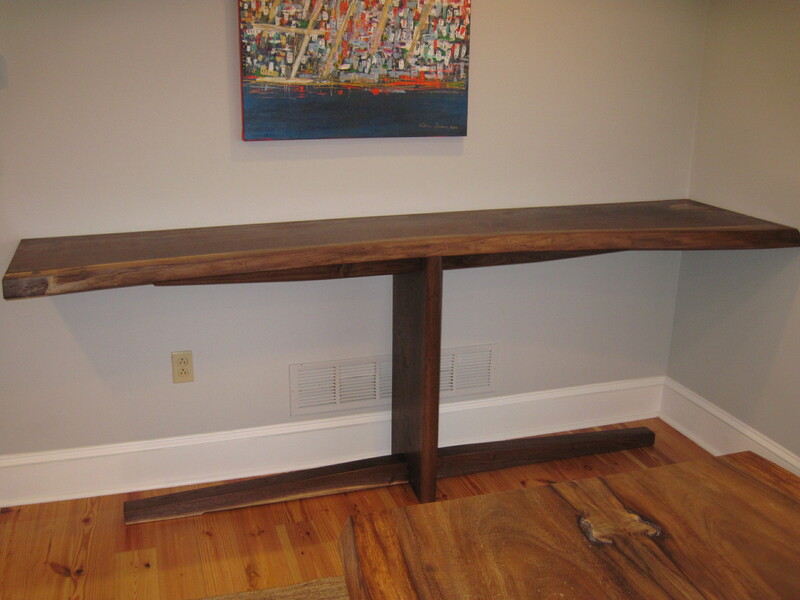 Take a look at the charming pieces he finished with Odie's Oil. Congratulations Bill! Fine Furniture Maker John Sterling of John C Sterling Fine Furniture and Accessories is our first Odie's Oil Contest winner for 2013. He will receive a free 9 oz jar of Odie's Oil. 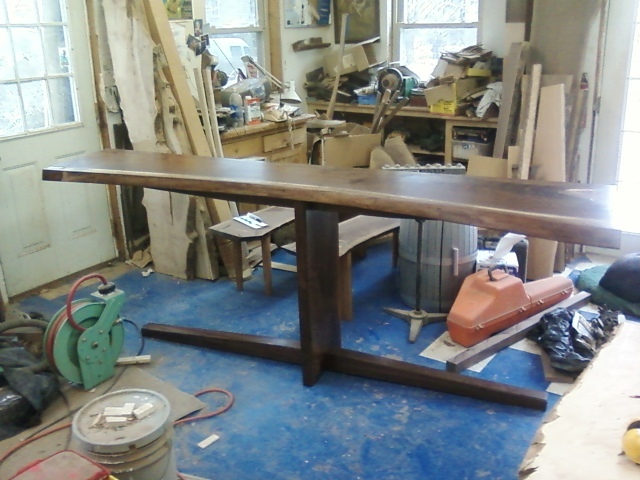 Here is a photograph of a beautiful buffet table he finished with Odie's Oil. Congratulations John! We have our first Odie's Oil Contest Honorable Mention. Congratulations Phil Wilson! 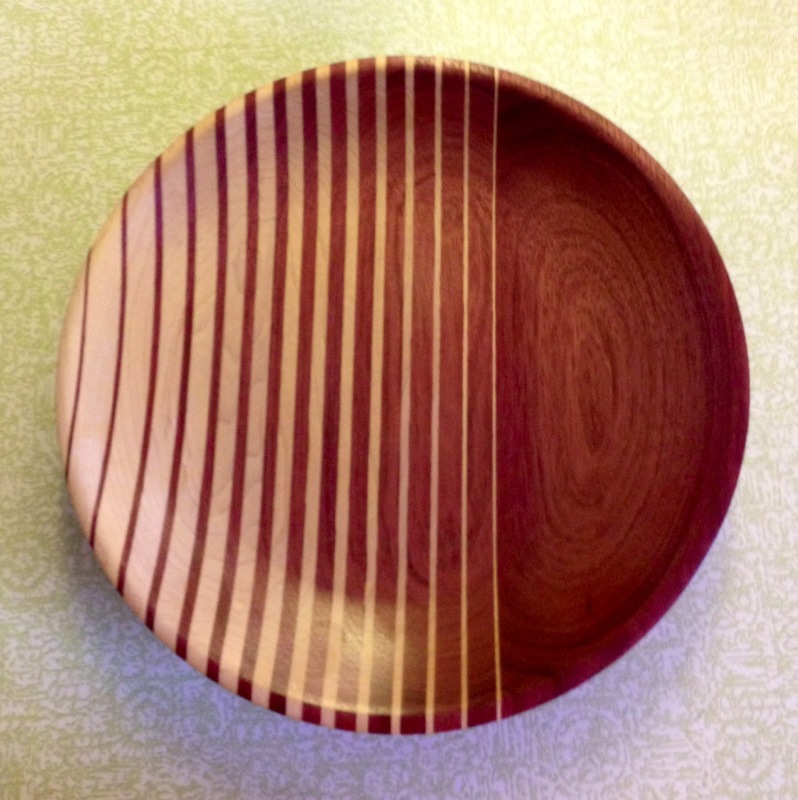 Here is his lovely purpleheart and maple bowl that we thought worthy of an honorable mention. Phil will receive a 2 oz jar of Odie's Oil. 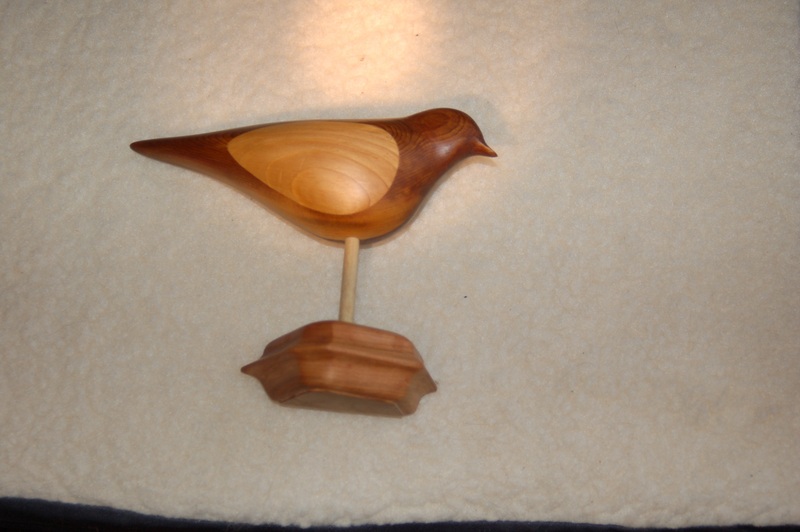 Woodturner Richard "Thumper" Levine is the Odie's Oil Contest winner for December. Richard will receive a free 9 oz. jar of Odie's Oil. 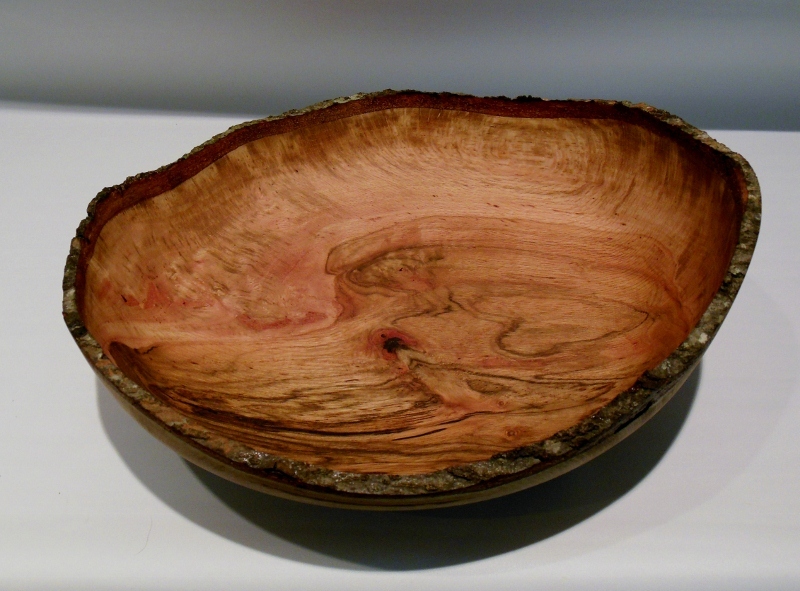 Here are pictures of some of the beautiful bowls he finished with Odie's Oil. Congratulations Richard! 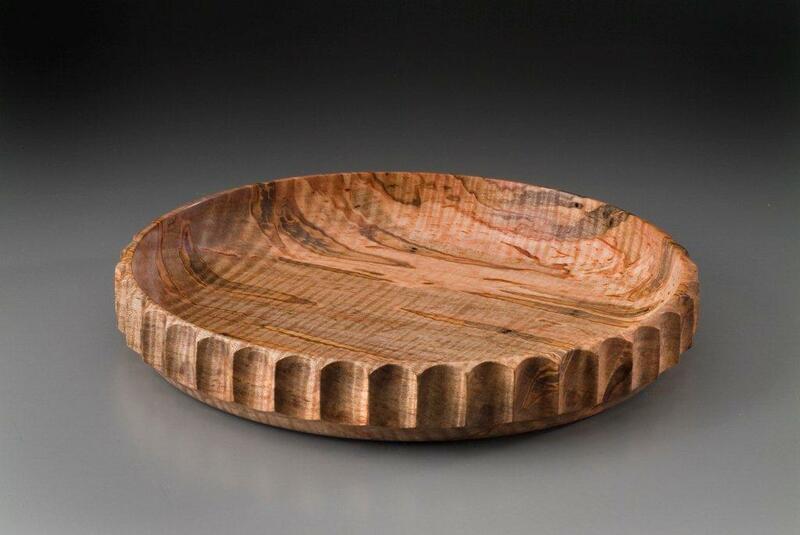 Click here to see more photos of Richard's work in our Woodturner's gallery. 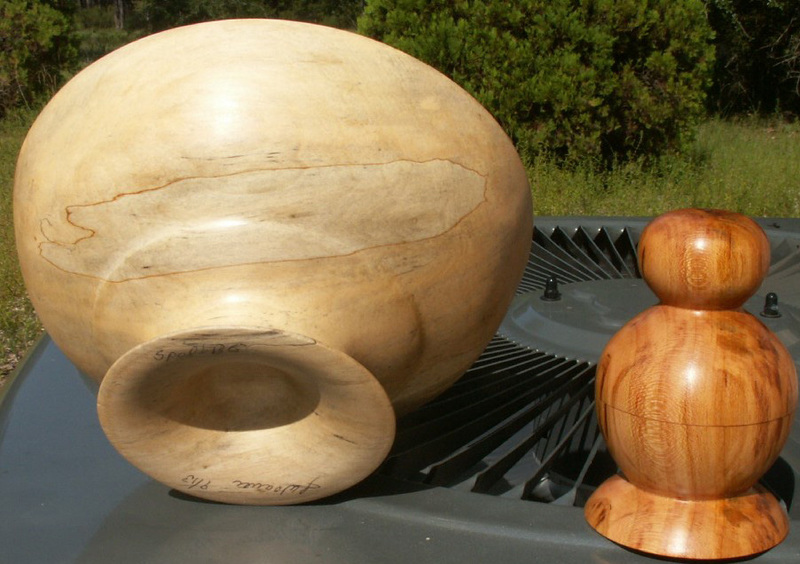 Woodturner and carver Abe Sloan of Florida is the Odie's Oil Contest winner for November. Abe will receive a free 9 oz. jar of Odie's Oil. 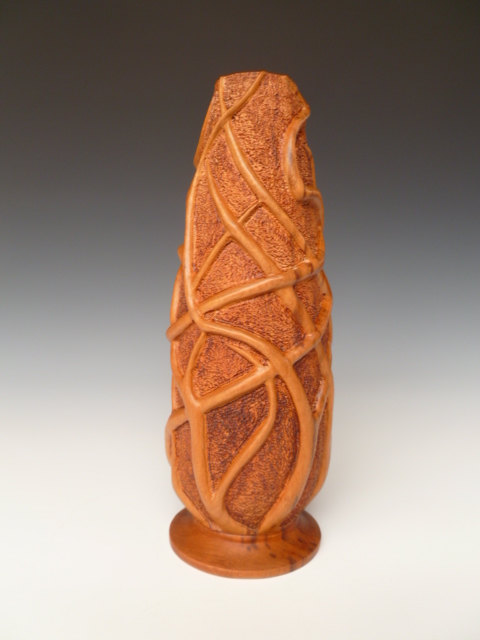 Here is a picture of the lovely carved cherry vase that he finished with Odie's Oil. Congratulations Abe! 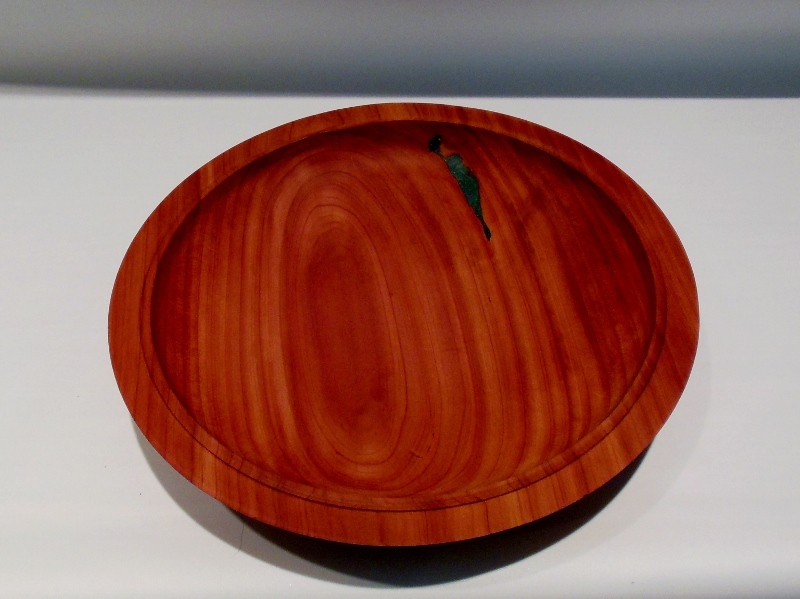 Check out Abe's Etsy store BowlDesignStudio for more of his work. 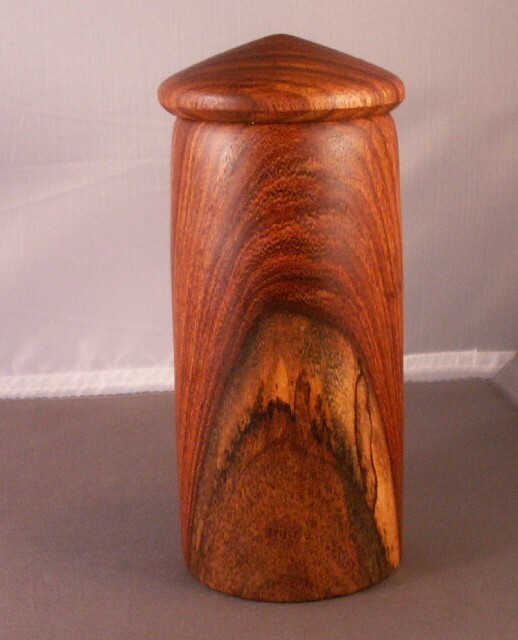 Woodturner Joan Weaver of Florida is the Odie's Oil Contest winner for September. Joan will receive a 9 oz. jar of Odie's Oil. 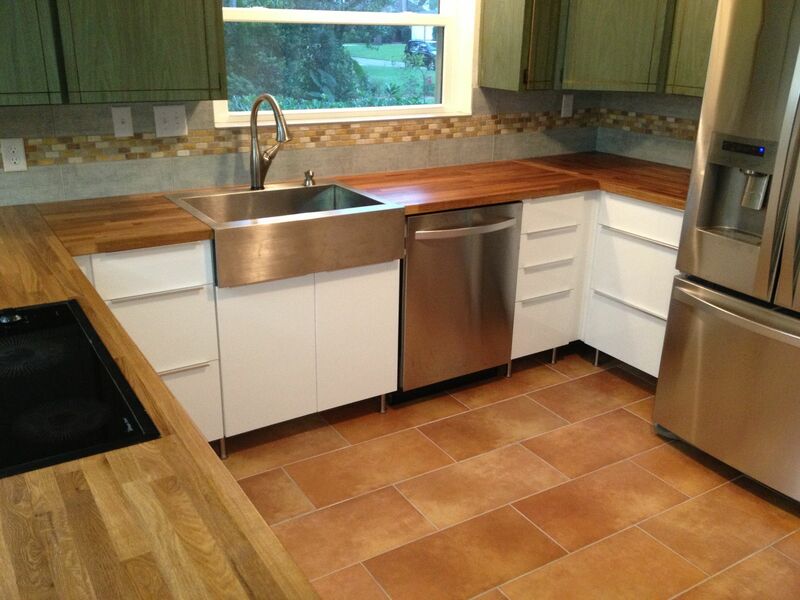 Take a look at the terrific projects she completed with the help of Odie's Oil. Congratulations Joan! Submit your photos of projects completed using Odie's Oil. You could be our next winner! Click here for details.